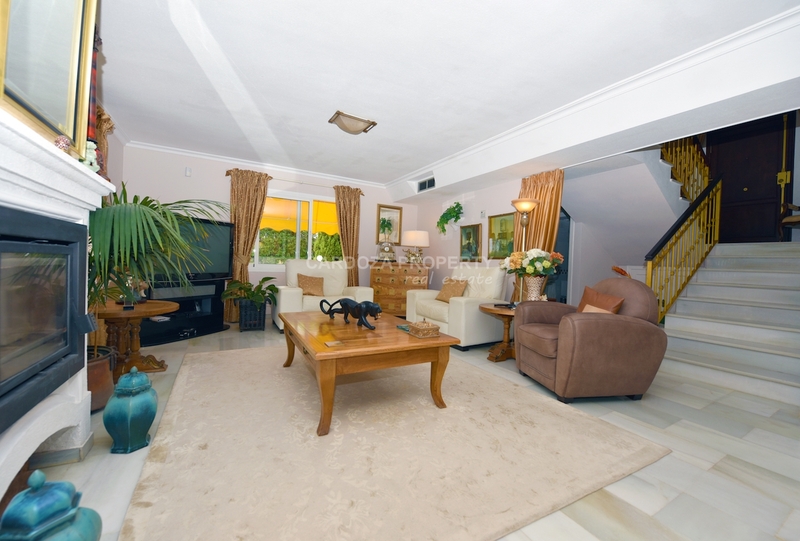 Los Naranjos Hill Club: This is truly a wonderful opportunity to acquire this beautiful 4 bedroom villa. 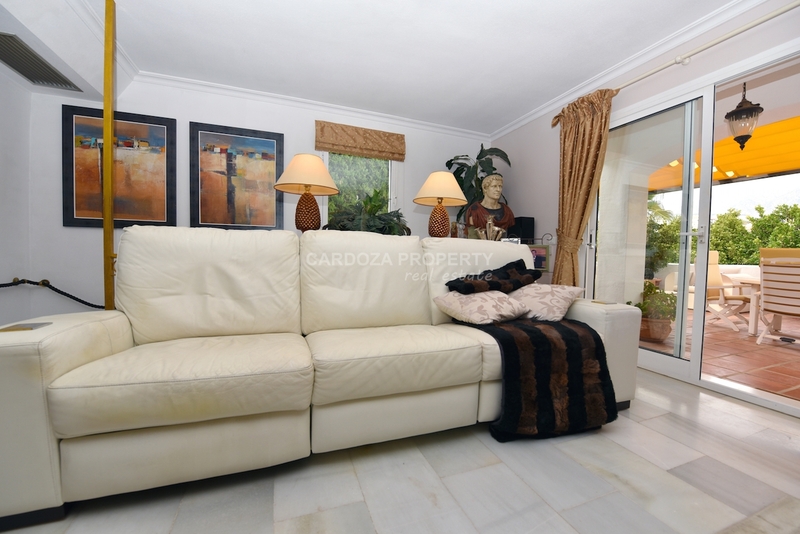 The property has been tastefully refurbished and kept up-to-date, located in the safe and gated environment of Los Naranjos Hill Club. 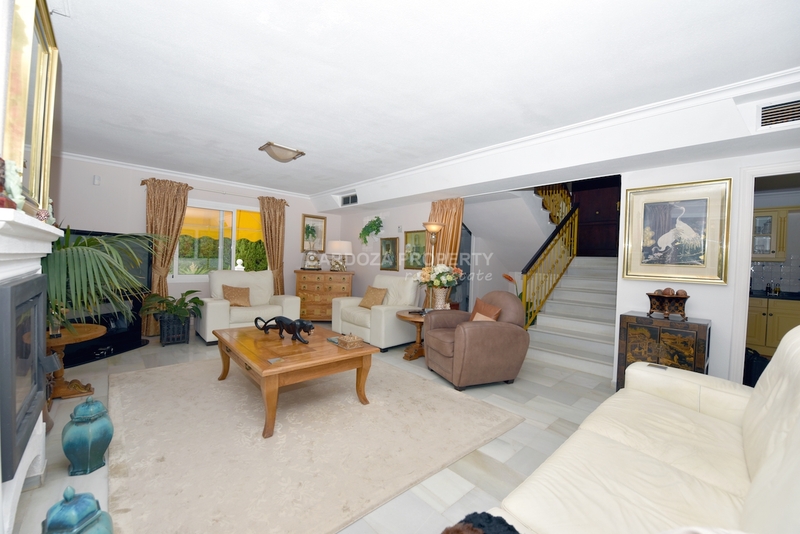 This villa is positioned at the top of a hill in Nueva Andalucia, only minutes away from Puerto Banus, within easy reach of all amenities and international schools. This exclusive and peaceful complex of 48 private villas is accessible via remote security access. 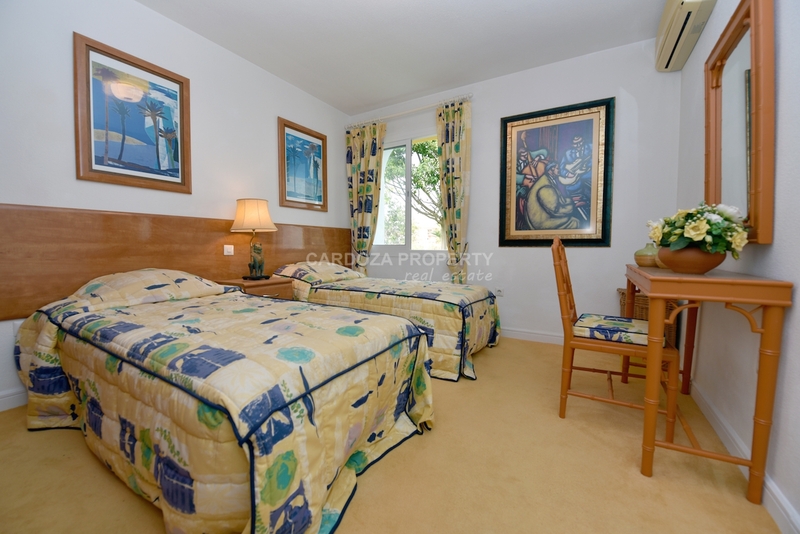 The property is in the golf valley and surrounded by the famous golf courses of Club de Golf Aloha, La Quinta Golf & Country Club, Real Club de Golf Las Brisas, and Los Naranjos Golf Club. 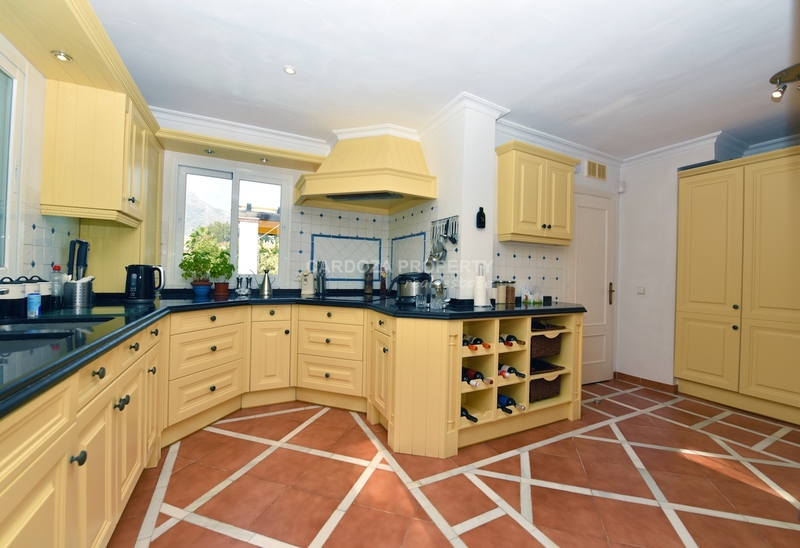 This light and spacious detached villa has 4 double bedrooms, 4 bathrooms and approximately 230 m² of generous floor space. 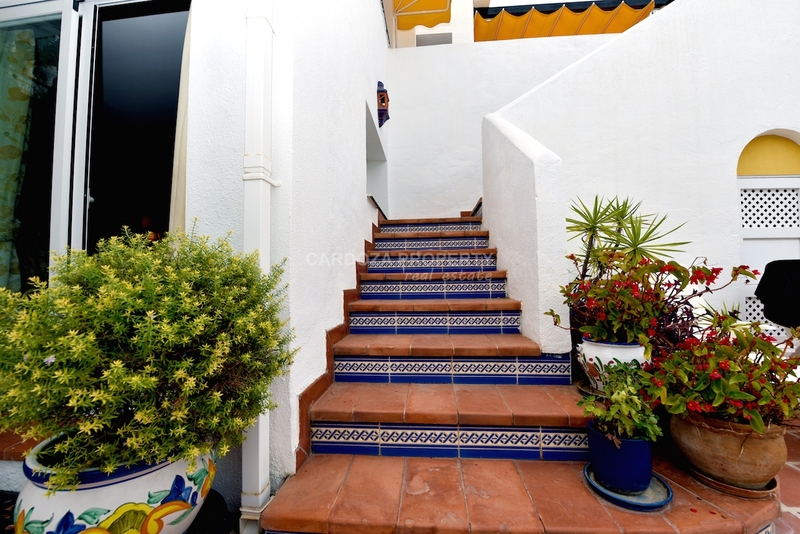 This Andalucian style property has a contemporary feel although it dates back to 1987 giving it lots of shapes and features. Through the front door, you enter into a large hallway with a gabled ceiling as the first feature of the house, down a flight of stairs is the well appointed lounge. 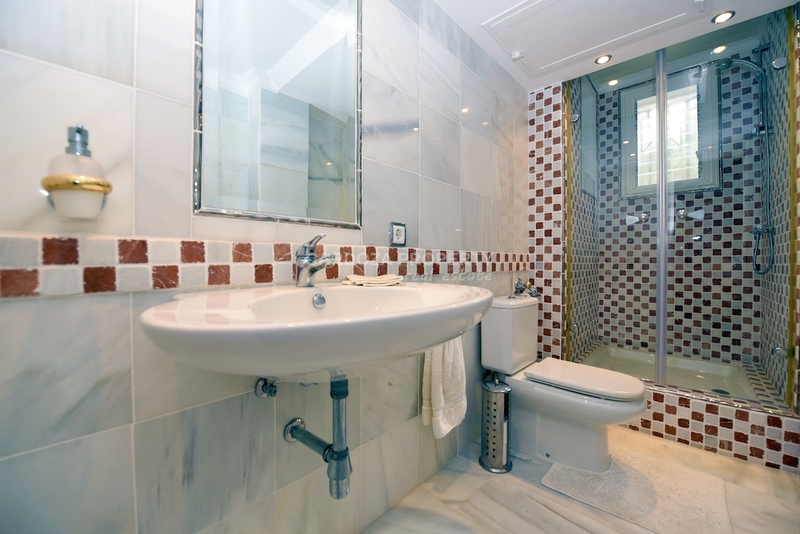 The area is large and cozy with 3 big picture windows and a double glass door which produces an abundance of natural light, you are able to enjoy the beautiful views of the gardens and Mediterranean Sea via the good size terrace . 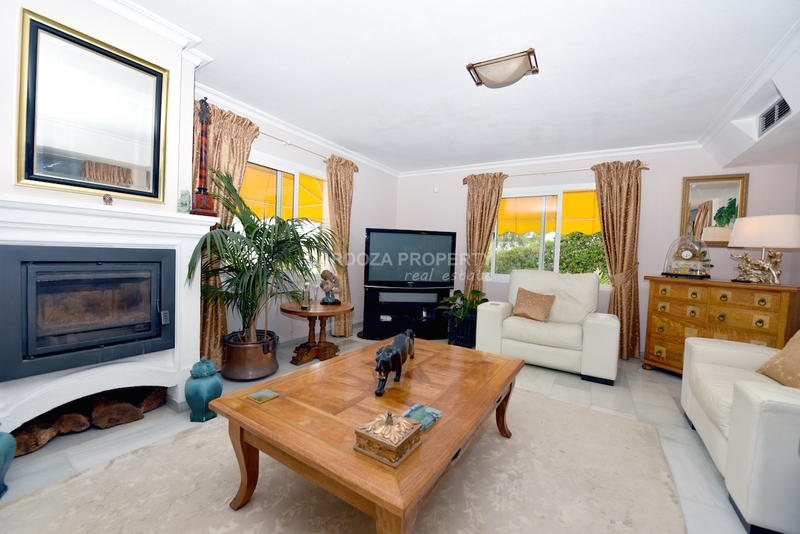 There is a glass enclosed fire place for those cool nights in Nueva Andalucia. 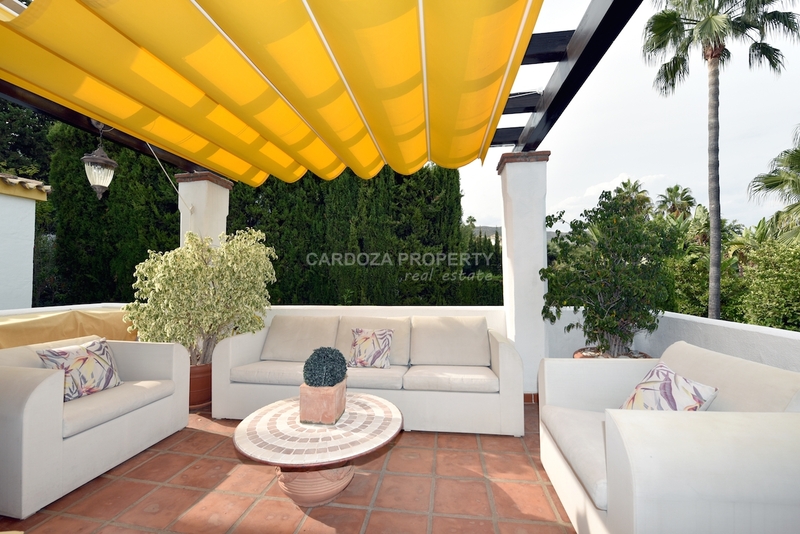 The covered terrace has folding glass windows which will protect you from those wintry rainy days, which fortunately does not happen much as this is the Costa Del Sol. Also on the terrace is a nice open fire place that also doubles up as a barbecue. 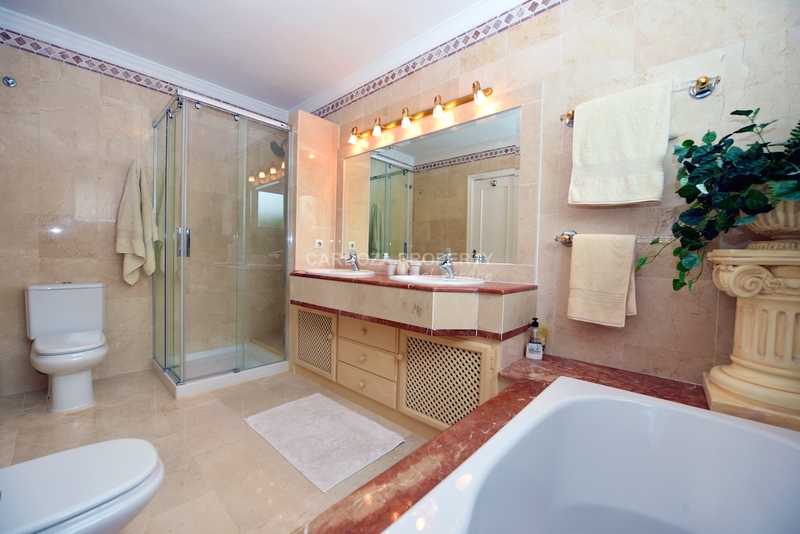 located on this main floor is a very convenient placed guest washroom. 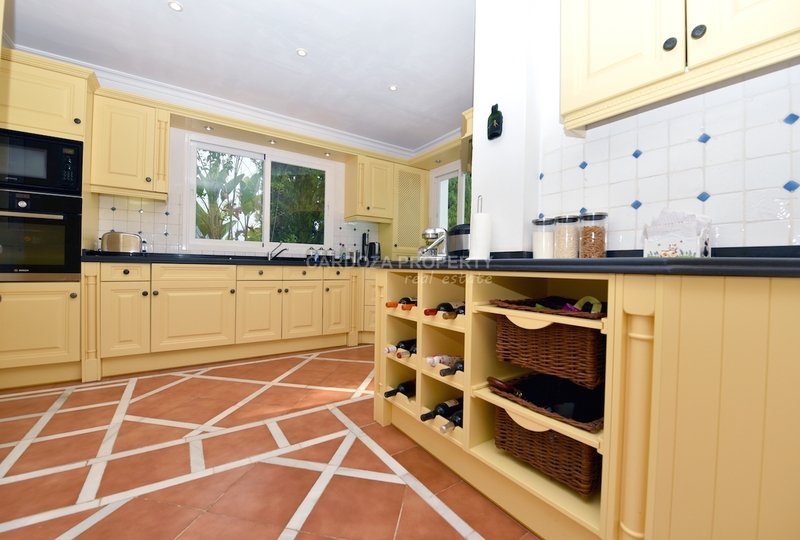 Adjacent to the lounge is a substantial and beautiful dining area where you are able to host generous dinner parties or for those casual get-togethers, this is complemented by a fully equipped contemporary style kitchen. It has many features such as skylight windows which has remote control for easy use and a sensor so that if it rains it will automatically close, providing safety for your kitchen and allows maximum flow of fresh air. 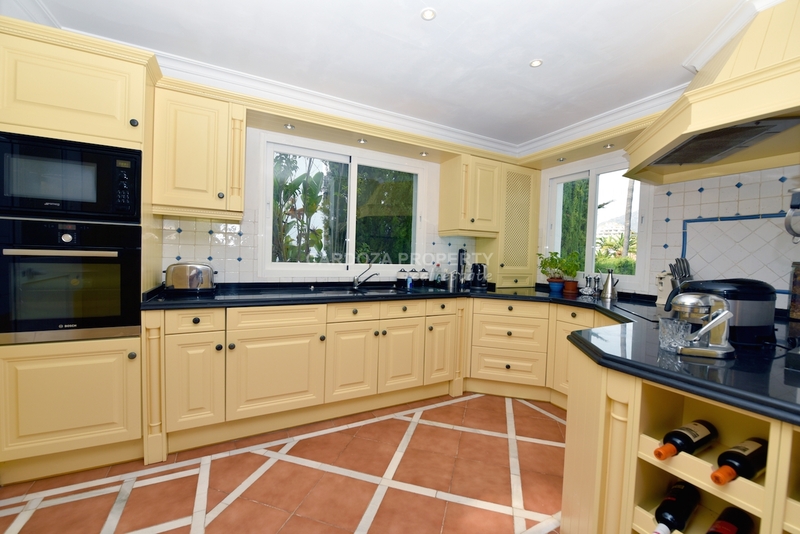 The counters surfaces are granite for which the design is neutral and fresh. As typical in this house you will find another large wall size window which lets in maximum light and a great view of the garden. From the lounge there are stairs descending to the ground floor which provides access to 3 bedrooms and a guest bathroom. 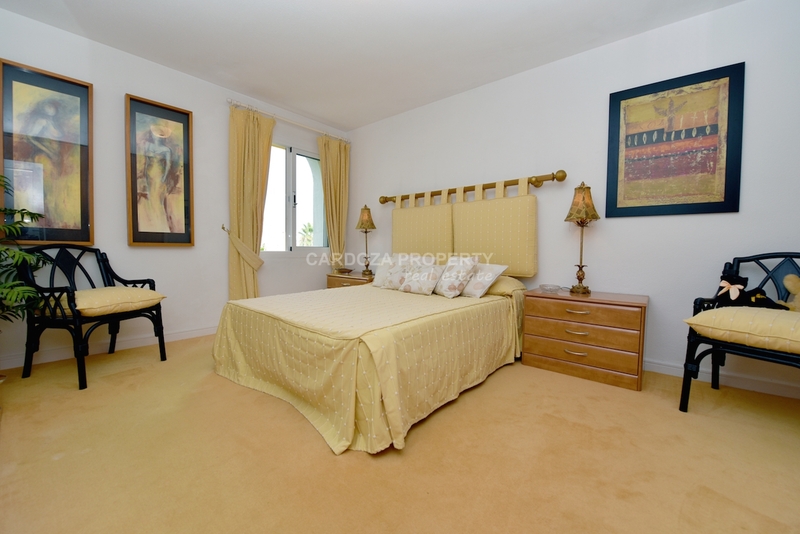 The main and very large 2nd master bedroom of this floor has it’s own en-suite bathroom, large picture windows and ceiling to floor closets. 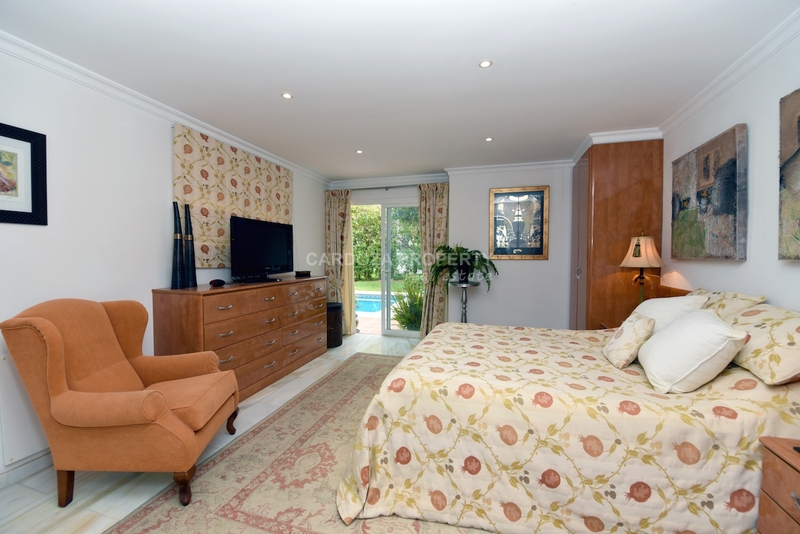 All bedrooms on this floor has large double glazed doors which provides easy access leading out directly onto the gardens and pool area. 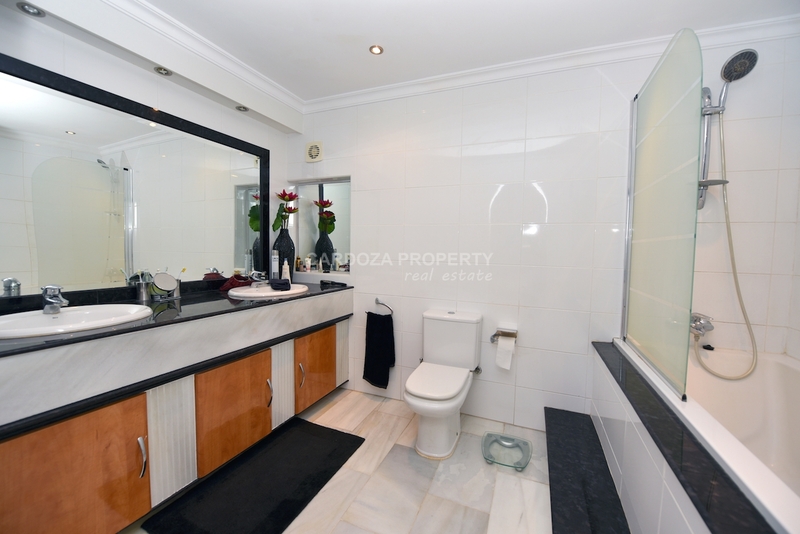 On the top floor of this property you will then find the prominent master bedroom with en-suite bathroom and walk-in closet. 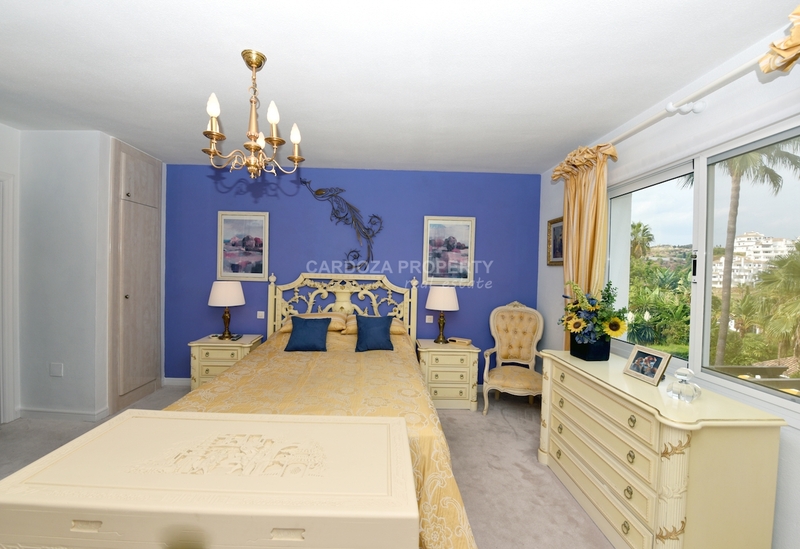 This bedroom is extremely light and airy with fantastic views of the gardens, pool and Mediterranean Sea. 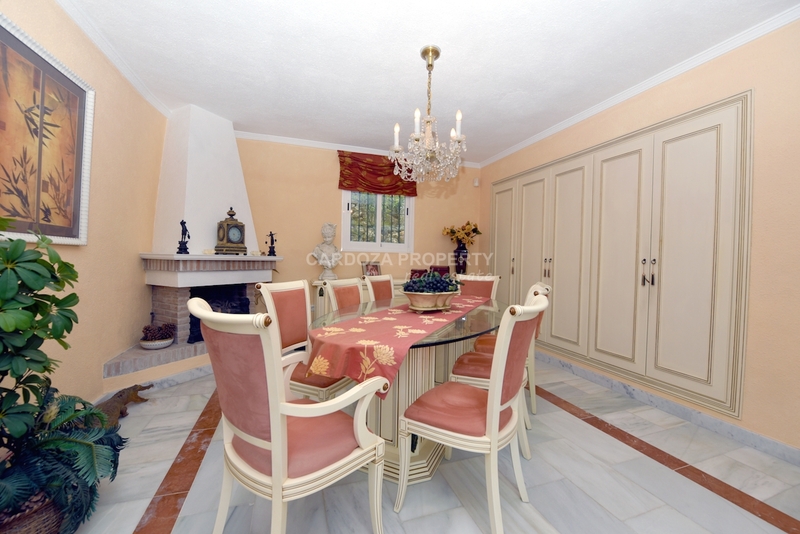 Outside the property has a beautiful garden with views of the Mediterranean Sea, large private pool surrounded by well manicured landscaping and lawn. There is a double garage and an area to park cars. 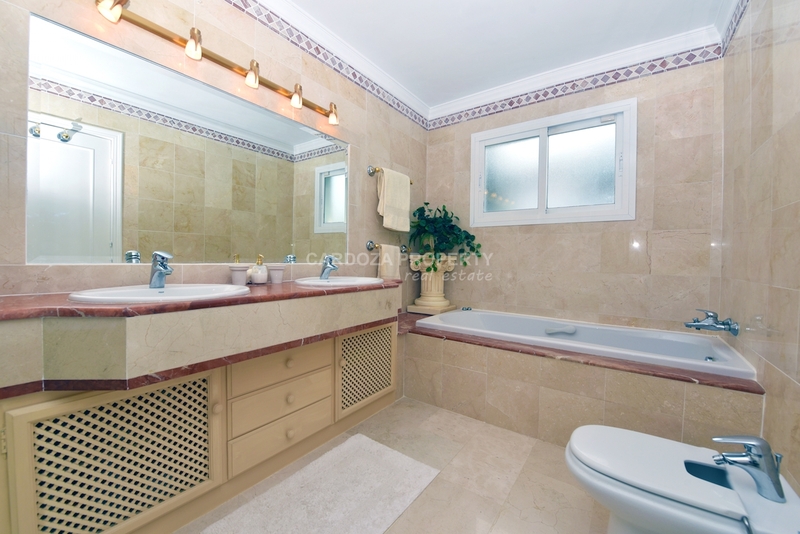 This villa has many more features and a viewing is necessary to appreciate it.